Congresswoman-elect Rashida Tlaib did not disclose the name of the source of funds for a fellowship that was paid by liberal billionaire George Soros—as required by the House ethics committee—and also disclosed a lesser amount than she received, according to a review of tax and financial disclosure forms. Tlaib held this position until May of this year, according to the Open Society Foundations website. Tlaib also did not report a 2018 income from the group despite being with them five months into the year. 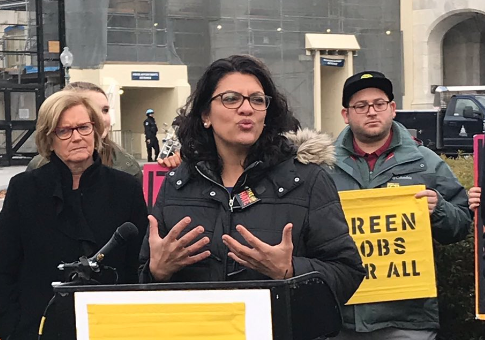 The post Rashida Tlaib Misrepresented Soros Stipend in Financial Disclosures appeared first on Washington Free Beacon.